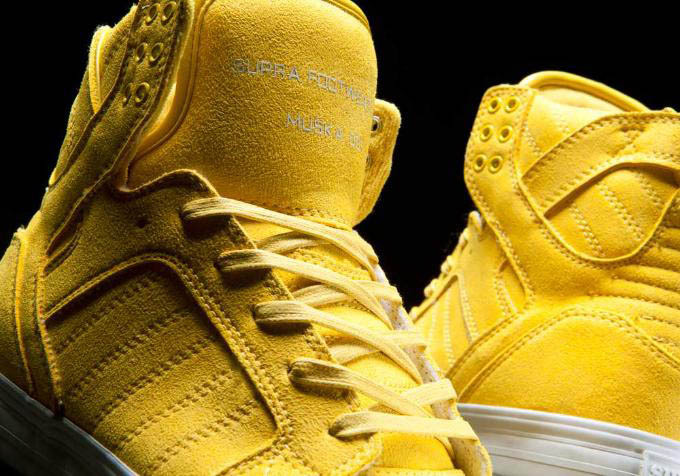 SUPRA Footwear - "Peeps Pack"
Both shoes are decked out in soft, lightweight yellow microfiber that mimics the famous chick-shaped marshmallow candies. With Easter around the corner, SUPRA Footwear sends you on a hunt for the "Peeps Pack," which consists of Chad Muska's original Skytop and the Terry Kennedy Society Mid. Both shoes are decked out in soft, lightweight yellow microfiber that mimics the famous chick-shaped marshmallow candies. Contrasting hits of white takes care of branding on the tongues and heels, as well as vulcanized soles that support the ride below. 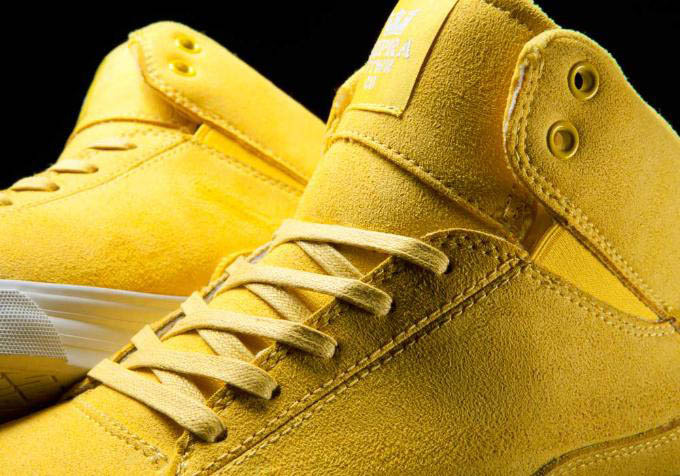 You can grab the "Peeps Pack" at SUPRA Footwear and select skate retailers today.